Finally a toiltery bag dedicated for real men with beards. 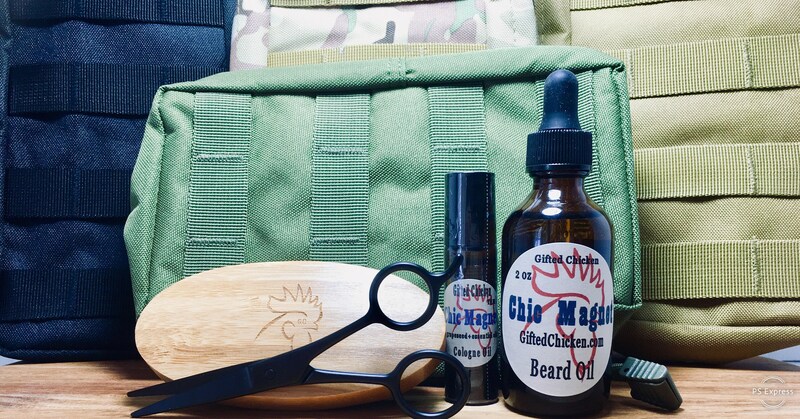 Whether you're a pro at the beard game, or need a starter pack, this is for you. The bag is MOLLE capable too! *No D@mn Scents comes with choice of Cologne Oil Scent, message at check out. No selection will default in random scent.